BURNS, Oregon, January 27, 2016 (ENS) – The armed occupation of the Malheur National Wildlife Refuge that began January 2 is coming to an end with the arrests Tuesday of seven of the alleged occupiers and the death of another. Authorities have now surrounded the occupiers camp to remove the remaining militants. The occupiers were protesting the federal government’s ownership of public lands. The armed rightwing militants took over the refuge to protest the federal government and the imprisonment of two ranchers in rural Harney County. At 4:25 pm Tuesday, local time, the Federal Bureau of Investigation and Oregon State Police began an enforcement action to bring into custody individuals associated with the armed occupation of the Malheur National Wildlife Refuge. During that arrest, there were shots fired. One man who was a subject of a federal probable cause arrest is dead in the ensuing shootout. Authorities will not be releasing any information about that person pending identification by the medical examiner’s office. But others connected with the occupation have identified the person who was killed as LaVoy Finnicum, who acted as a spokesman for the militants. Another man suffered non-life threatening injuries and was taken to a local hospital for treatment. He was arrested and is currently in custody. In a separate event in Burns, at 5:50 pm, Oregon State Police arrested Joseph Donald O’Shaughnessy, age 45, Cottonwood, Arizona, also in connection with the occupation. At 6:30 pm in Burns, the FBI arrested Peter Santilli, age 50, of Cincinnati, Ohio, in Burns. Both of those arrests occurred without incident. At 8:30 pm Tuesday in Arizona, the FBI Phoenix Division made a probable cause arrest of Jon Eric Ritzheimer, age 32, on a federal charge related to the armed occupation of the Malheur National Wildlife Refuge in Harney County, Oregon. Ritzheimer turned himself into the Peoria, Arizona, Police Department. The arrest was without incident. All of the named defendants face a federal felony charge of conspiracy to impede officers of the United States from discharging their official duties through the use of force, intimidation, or threats, in violation of Title 18, United States Code, Section 372. All defendants should be presumed innocent until proven guilty. Malheur National Wildlife Refuge is located roughly 30 miles south of the city of Burns in Oregon’s Harney Basin. Wildlife in the area includes 320 species of birds and 58 species of mammals in desert, grassland, marsh and rimrock habitats. Malheur is one of the most productive waterfowl breeding areas in the United States and is an essential migration stop for hundreds of thousands of birds following the Pacific Flyway. Residents of Harney County complained that they could not visit the refuge during the occupation, that they were harrassed by the occupiers and they felt threatened. Refuge employees could not go to work while the militants were in possession of federal buildings and computers there. 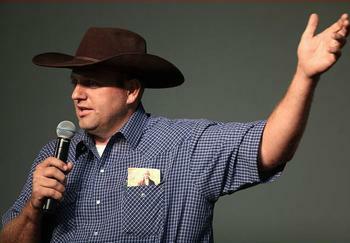 Ammon and Ryan Bundy are sons of Cliven Bunday, the Nevada cattle rancher who Bundy conducted a similar armed standoff with authorities in Clark County Nevada in April and May 2014 in protest of the Bureau of Land Management roundup of trespass cattle pursuant to court order. He refused to pay cattle grazing fees on public domain lands. Cliven Bundy has said he does not recognize federal police power over land that he believes belongs to the “sovereign state of Nevada.” Bundy denied the jurisdiction of the federal court system over Nevada land and believes that federally owned land actually belongs to the state.